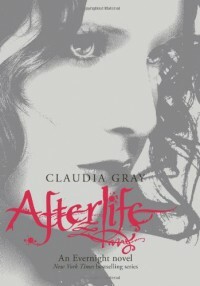 Afterlife was a great conclusion to the Evernight series. It picks up right where Hourglass leaves off and you are drawn into their world once again. To me Afterlife was less about the action and more about the emotions and, to my delight, a lot of overdue talks finally happened. I loved the book but the ending kind of depressed me. I am absolutely a happy ever after type of girl when it comes to conclusions and while this was happy in some ways in others it wasn't. It did not dampen my enjoyment of the series, however.